The Department of Homeland Security is looking to relocate personnel to the southern border that are currently situated in airports and on the border between the United States and Canada. 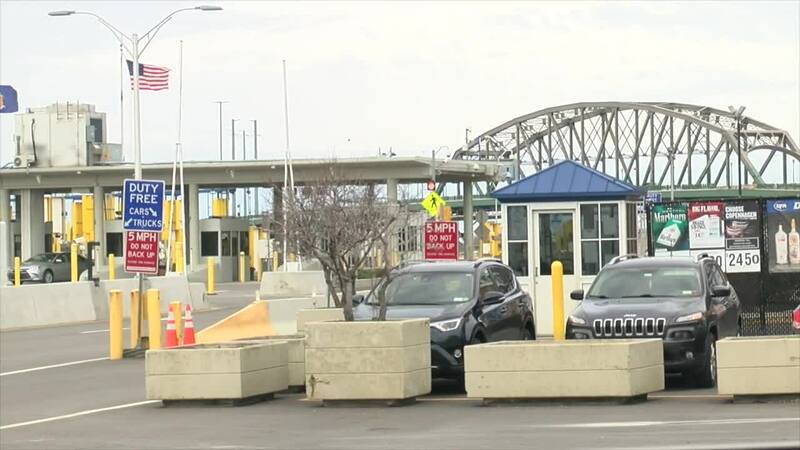 BUFFALO, N.Y. (WKBWW — The Department of Homeland Security is looking to relocate personnel to the southern border that are currently situated in airports and on the border between the United States and Canada. In a letter to the Department of Homeland Security, Congressman Brian Higgins objects the plan, stating that the move could have a significant negative impact on the northern border and surrounding communities. Although Customs and Border Protection officer, Aaron Bowker, say these plans happen fairly often, whether that be for a natural disaster or border crisis. The border between the United States and Canada is the longest land border between two countries in the entire world at 5,525 miles. Bowark says he isn't anticipating much of a change in traffic delays along the bridges near Buffalo. I am writing to express my dismay and utmost concern at the Department of Homeland Security’s effort to reposition CBP officers currently stationed for duty at Land Ports of Entry (LPOEs) at the Northern Border and airports to assist and support Border Patrol at the Southwest Border. This trend could have a demonstrably negative impact on the functioning of LPOEs at the Northern Border and the communities and economies served by them. As a Member of the House of Representatives representing a district bordering Canada that includes four LPOEs that accommodate significant daily and passenger and freight traffic, this move is a significant cause for concern. This Administration has manufactured a crisis at the Southern Border for political gain, complicating our country’s immigration laws to the near breaking point. This is unacceptable enough, but to subject the northern border of this country to unreasonable border delay and further jeopardize its own security merely to augment this folly for political gain is disrespectful to the public servants who seek to protect our country on a daily basis. Rather than addressing border challenges in a responsible way, this move expands them. Due to this proposed shift, the security and expediency of the current flow of traffic at the Northern Border is now expected to suffer on account of the Administration’s actions. According to DHS data, approximately 400,000 people and over $1.6 billion in goods cross the Northern Border daily through more than 120 POEs. This move will have a substantial impact on the functioning of Northern Border ports of entry, including processing and wait times for both people and goods crossing between Canada and the United States. As a representative of a border district, I believe it imperative that these channels of travel and commerce be maintained for the good of the economies and communities that are supported by them. I strongly encourage the Department of Homeland Security to abandon any efforts to reallocate Northern personnel to the southern border. I look forward to a prompt response to this letter from you.